Preparing and planning for dinner can be hard. 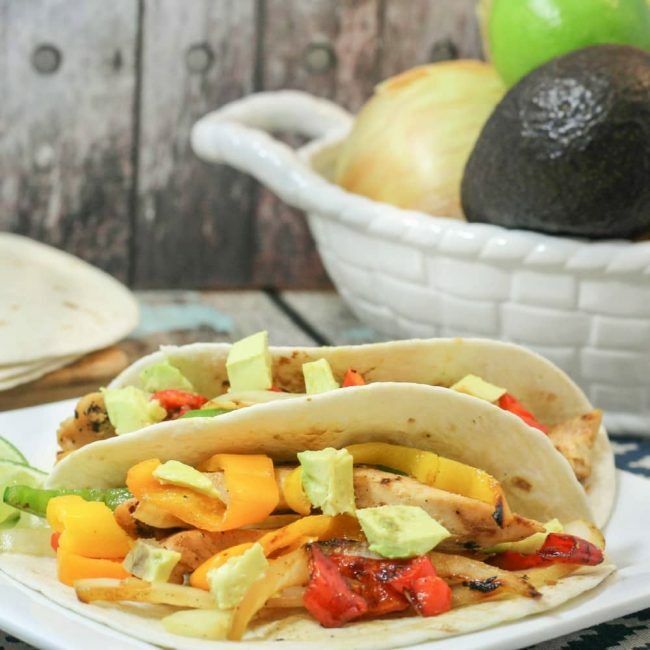 This yummy Crockpot chicken fajitas recipe solves the problem! I don’t know what it is, but the whole house seems to go on meltdown mode around 5:00, making it impossible to prepare dinner without drama. Crockpot cooking saves the drama by having dinner prep all done and ready before lunch! Just toss in all the ingredients, and wait! Put bell peppers and onion in the bottom of your crockpot. Pour half of the seasoning packet over the peppers and onion. 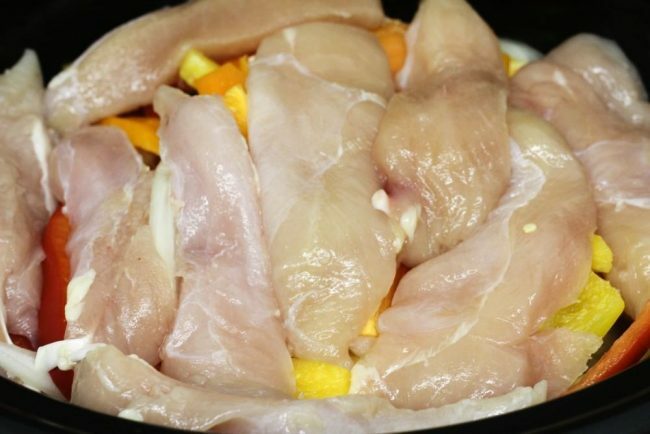 Add sliced chicken to the crock pot. Add the remaining seasoning packet over the chicken. Pour in the chicken broth. Turn on the crock pot to low. Cook for 6-8 hours. If desired, you can also warm your tortillas. Wrap flour tortillas (sets of 5) in foil and put in the oven. Heat tortillas on 350 degrees for 15-20 minutes. Easy, peasy! Dinner in the crockpot before lunch, and dinner will be ready with no extra thought required! Top the fajitas with your favorite toppings – like black beans, sour cream, a dash of lime juice, or avocado. 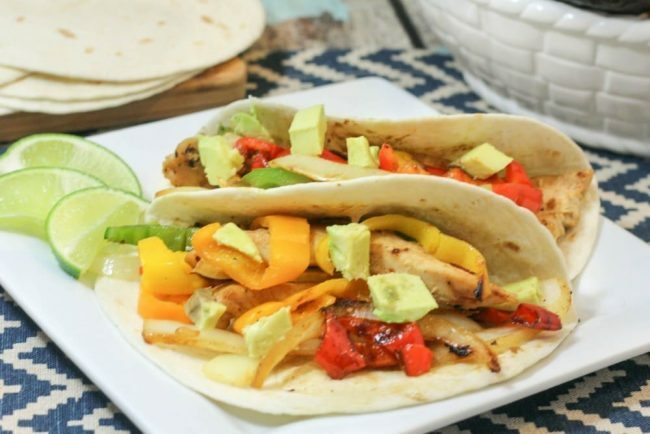 Let us know when you try this crockpot chicken fajitas recipe! This looks delicious! I made these the other night but didn’t think about using my crock pot! I’ll have to try this next time around. Thanks for linking up with delicious dishes recipe party! Thanks for the suggestion. 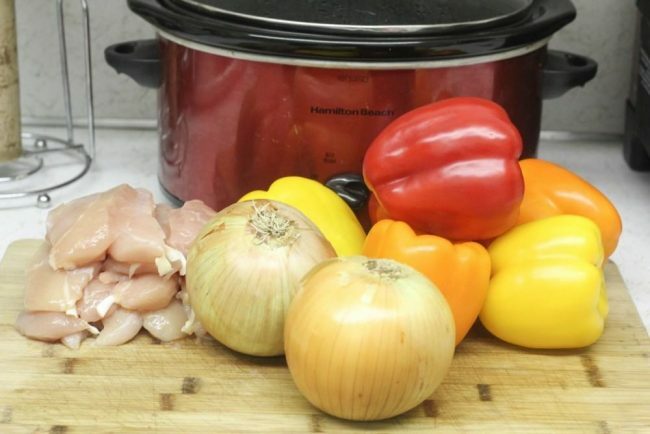 We have a reunion coming up in a couple weeks and I needed a crockpot idea… and perfect timing as I just bought some chicken this week when it was on sale. I love crock pot/slow cooker cooking! The house always smells delectable and the food is always delicious. My family would love your chicken fajitas! I love crock pot meals. Being able to prepare my dinner and have it ready hours later. This sounds like a great recipe. Thank you! That looks so good. The best part of this is that it’s in the crock pot. I can just set it and forget it. Boom. Done. Wow, that looks so simple! I can’t wait to try this out, because a dad with chicken fajitas is a happy dad. What could possibly be better than a good crockpot recipe! Thanks so much for sharing with us at the Merry Monday party. Recipe sounds great! Thanks for linking up to Merry Monday! Yummed & Stumbled! Have a great week! This is a great recipe. If you would like to share it at Sunday Fitness and Food Link-Up we would love to have you! Have a great Sunday! I don’t know why I never thought about putting fajitas in the crockpot. 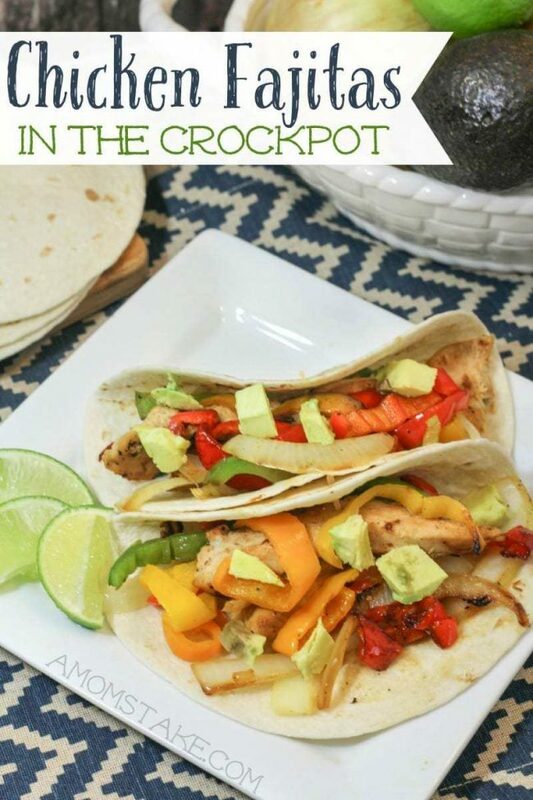 I love fajitas and am going to definitely try them in the crockpot next. Looks yummy Janel! I need to add some new recipes to my rotation!